Wild capuchin monkeys in Brazil produce sharp stone flakes by accident, causing some researchers to suggest a rethink of the beginnings of human tool use. 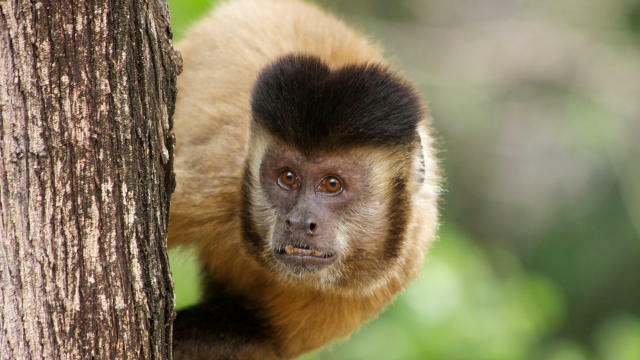 A male capuchin monkey in Brazil's Serra da Capivara National ParkWIKIMEDIA, TIAGO FALOTICOFlaked stone tools have long held a special place in the concept of humanity’s rise from just another animal to one that would evolve to conquer the biosphere. 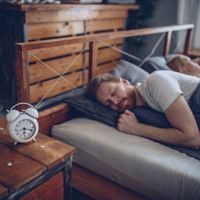 But our ancestors may have struck upon this important innovation quite by accident, according to researchers studying wild capuchin monkeys in Brazil. 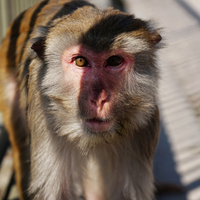 Those monkeys use large rocks to crack nuts, dig for roots, and attract mates in their forest home. Scientists working in northeastern Brazil’s Serra da Capivara National Park found that the primate labors often result in stone flakes that bear a striking resemblance to knapped stone pieces that are commonly thought to be critical implements of early human technology. 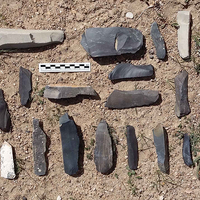 The findings, which may challenge claims of millennia-old human tool use at archaeological sites scattered across the globe, were published last week (October 20) in Nature. The Brazilian monkeys do not use the stone flakes they inadvertently produced, the researchers reported, whereas many early human archaeological sites that contain stone flake tools also harbor evidence of their use to cut animal flesh or plant matter.